ISIS fighters near Mosul, in the 2014 advance against the city. Image source: "ISIS in Mosul, thousands of Refugees Flee," Rodaw.com (9 July 2014). Dogged readers of my columns will observe that I habitually quote a handful of classic writings, chiefly the Shakespeare works, Boswell’s Life of Samuel Johnson, and The Federalist Papers. If those readers suspect that these few masterpieces pretty much exhaust my learning, they are correct.... In Mark Twain’s famous definition, a classic is a book everyone wants to have read, but nobody wants to read. Gulp! But those daunting all-time must-reading lists are a little misleading. It can take years to master a single great author. Much of what we “know” about the classics is what we’ve heard about them in advance, and we may not get beyond their reputations until we’ve read them several times. Yet the few classics I know thoroughly have been invaluable, even in my work as a journalist. To know a single old book well, even if it hasn’t been canonized as a “classic,” is to have a certain anchorage you can’t get from most contemporary writing. There are no particular classics, not even Shakespeare, that you “must” read. But you should find a few meritorious old writers you find absorbing and not only read them, but live with them, until they become voices in your mind — a sort of internal council you can consult at any time. But at least they had minds of their own. They weren’t mere products of the thought-factory we call public opinion, which might be defined as what everyone thinks everyone else thinks. They provide independent, poll-proof standards of judgment, when the government, its schools, and the media, using all the modern techniques of manipulation, try to breed mass uniformity in order to make us more manageable. To state this idea in another way, we do not read the Sunzi Art of War or Clausewitz's On War (or Plato and Aristotle's works, for that matter) because their authors were infallible, or because they provide theories of politics that have the same sort of scientific validity that the economic theories of folks like Kenneth Arrow or Ronald Coase do, or even because they offer insights into the nature of war and man that cannot be found anywhere else. They were not infallible, their theories have no relation to modern scientific methods, and in a world that has seen wars uncountable fought and talked about by men innumerable, no insight they provide is unique to them alone. However, each offers a coherent conceptual framework that has withstood the test of time. The works produced by this framework can be used as a lens through which any issue can be analyzed. Asking "what would Clausewitz make of this quandary?" is a powerful analytic frame that forces the questioner to consider hard questions about the political context, strategic aims, available means, and enemy intent of the conflict in question. Even if not all of the solutions Clausewitz would submit to his interlocutor are the best ones, the process of thinking through his worldview and adapting it meet the demands of a current crisis will uncover hidden assumptions and point to new possibilities the modern day strategist may not have considered. The other benefit of this approach is that it combats the tendency to downgrade 'great books' to a series of detached and shallow maxims. Memorizing such maxims is easy, but usually useless. Connecting the famous phrases of any given thinker to the wider web of assumptions, intentions, and arguments found within their corpus requires more work; assessing which of those assumptions and arguments are valid in the context of a contemporary conflict requires even more of it. In my experience this work pays off. However, even if you go through the process and conclude that the framework presented in a great work like the Sunzi has nothing valuable to add to your analysis of a given issue, you will at least walk away with a deeper appreciation for the depth and sophistication of the thinker in question than his popular image as a collection of proverbs would suggest. Sun Tzu believed warfare was incredibly costly, both in terms of wealth and men. Therefore, he sought to leverage the minimum force to win key decisive engagements, striving to mitigate the heavy price of open warfare. Therefore, Sun Tzu would never approve of the U.S.’s plans to retake Mosul from ISIS in a bloody, direct offensive. When U.S.-Iraqi forces retook Ramadi in January 2016, the city was completely devastated by the ensuing battle. The campaign involved house-to-house engagements and was bogged down by bobby traps and improvised explosive devices (IEDs). Although Ramadi was nominally liberated, the city was essentially decimated. Sabah Karhout, the head of the Anbar provincial council, told The New York Times that “Ramadi is a city of ghosts” and the reconstruction would cost roughly $12 billion. Similarly, a direct offensive on Mosul would be another bloody rendition of a previous strategic mistake. U.S.-Iraqi forces may win on the battlefield, but the wholesale destruction will only feed the narrative of grievance advocated by ISIS. Therefore, Sun Tzu argued, “In the practical art of war, the best thing of all is to take the enemy's country whole and intact; to shatter and destroy it is not so good.” He understood post-war reconstruction would only incur additional costs for the state. One has only to look at the U.S.’s interventions in Afghanistan and Iraq, which total roughly $1.5 trillion in reconstruction efforts, to see the wisdom in his words. Perhaps tthe writers of the Sunzi would argue against a direct assault on Mosul, but I do not think this is necessarily true. whereas destroying the opposing country is next best. whereas destroying it is next best. That is the context for the quotation above. When the Sunzi says that the best victory is the victory achieved without recourse to warfare at all, it was attacking the idea that victory and it's glories were the purpose of war. When it says that a country conquered intact is better than a country ravaged by conquest, he is suggesting that ravaging is not a worthy end in and of itself. The unspoken subtext of this passage is that decisions in war should all be judged on the basis of interest (or 'profit,' the Chinese word used here is li 利) of the ruling house. The Sunzi may well have been the earliest voice in recorded history to argue that generals must use cost-benefit analysis to decide on whether or not to embark on any new campaign. The idea that military force should be used rationally to accomplish national interests; that if possible it is better to achieve those same aims without war; and that every campaign should be subjected to a rigorous calculation of potential costs and benefits are so obvious to modern military planners that most of these ideas are simply assumed, not argued. They do not need to be argued because everyone already accepts them as the baseline for new discussion. When the Sunzi was originally etched into bamboo, however, this was not true. The idea that violence should be used as a rational instrument of policy was a new and radical idea. The trouble of course with applying Sunzi's advice to measure the costs and benefits of a campaign to our wars today is that the means by which these things are calculated has changed tremendously over the last 2,500 years. The Sunzi argues for capturing territory whole because in the context of the Warring States era it was fairly easy to incorporate territories stolen from other kingdom's into the administrative structures of your own. This was not unique to China; it was true for population-dense, agrarian empires just about everywhere. Before the industrial revolution the fastest way to increase your tax revenue and national wealth was to take it from others. Conquest paid--if you were careful about how you went about conquering. The Sunzi implores its readers to ensure that their conquests are paying more to the treasury than they are sucking from it. The rest of the passage--which Bae does not quote--develops this theme. Enemy soldiers should not be captured and sacrificed, nor killed en masse. Why? Because they could be incorporated with ease into the armed forces of their conquering enemy, or barring that, sent home to work their farms and contribute to the tax base. You can probably see how difficult it is to apply the Sunzi's advice directly to operations in Iraq. Iraq is a money sink. For the United States of America this would be true even if Mosul was taken without a brick out of place. Likewise, the men fighting for ISIS are not likely to become recruits in the American military machine. This will be true regardless of how many of them survive the coming battle for Mosul. In other words, the Sunzi's economic calculations simply don't work in this context, and it is not useful to apply them literally to the campaign against ISIS. The broader principle behind the Sunzi's calculations may prove more useful. The Sunzi's advice, when boiled down to its essence, is that no armed power should squander its resources on campaigns that do not materially advance its interests. The writers of the Sunzi would thus have little patience for the "bomb the sand till it glows" types, correctly seeing such a policy as a form of armed virtue signaling, the very attitude the Sunzi was originally written to combat. But this does not mean the Sunzian strategist would shy away from massive destruction and violence. What matters to the Sunzian thinker is greatest return for smallest investment. The only reason the Sunzi argues against laying waste to your enemies lands is because it recognizes that doing so usually reduces the material advantages a commander might gain from waging war in the first place. But what if the amount of destruction wrecked did not reduce or increase the material gains the victor could claim? In such a scenario, there is nothing in the Sunzi's philosophy that prohibits bloody, costly battles. The Sunzian strategist looking to maximize America's profit (li) in Iraq might conclude that it is in the United State's best interest to fight in such a way as drag as much of ISIS's manpower into the battle as possible. 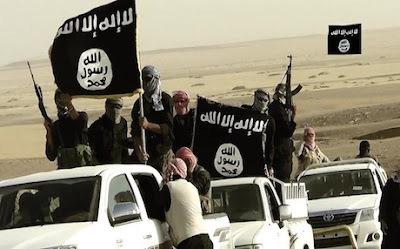 The goal of such a campaign would be to 1) leave ISIS's millenarian ideology and sense of "spirit" broken and discredited 2) exhaust and deplete the groups that give active support to ISIS so that even if Salafi-Jihadist thought doesn't lose its luster in defeat, the groups in question will not have the material means to support it in the future. If a drawn out siege of Mosul could accomplish those things then from a Sunzian perspective it would be worth it. This is because for the United States, maximizing profit in the cold realist sort of way the Sunzi advocates means using force so effectively that the United States does not have to return to Iraq again. If it is not possible to use military force to this effect in the fight against ISIS, the Sunzian strategist would likely advocate leaving the region entirely, using force only where there are clear material benefits for doing so. I do not know if I fully agree with the Sunzian approach here. I've laid out my preferred course of action in the post "The Fight Against ISIS--a Few (Unorthodox) Points For Discussion," and refer readers curious about my views on the question there. However, the purpose of this post is discuss the Sunzi. Whether or not you agree with the policy options presented above, this is probably the closest articulation of a true Sunzian approach we can get to. Sebastian Bae, "In the War With ISIS, Don't Forget About Sun Tzu," Strategy Bridge (15 April 2016). Xavier Marquez, "Does the History of Political Thought Matter," Abandoned Footnotes (11 July 2011). Joseph Sobran, "Reading Old Books," Sobran's Real News of the Month (or. published 6 April 1999). Victor Mair, trans., The Art of War: Sunzi's Military Methods (New York: Columbia University Press, 2009), 84-85. Ralph Sawyer, The Seven Military Classics of Ancient China, 2nd ed (New York: Basic Books, 2009), 159. The Sunzi generally recommends manipulating shi (势）, usually translated as 'the configuration of power,' or 'strategic momentum,' in order to do this. Indeed one could argue that shi is ultimately about being able to do the most with the least force available. That is a topic best reserved for its own post, however. ....Books focused on individual campaigns [of China's WWII] are just now being written and published. Peter Harmsen (previously a reporter with AFP, Bloomberg, and Financial Times) is at the forefront of the effort to tell the story of China’s experience in World War II from the perspective of the soldiers who fought it. His two books on the subject, Shanghai 1937: Stalingrad on the Yangtze and Nanjing 1937: Battle For a Doomed City, are not only meticulously researched, but are gripping reads as well. And if we are fortunate, Harmsen will continue writing these histories. A golden age of Chinese military history is still far away, but if books like Harmsen’s continue to be published, a golden age of China’s World War II history may be just around the corner. You can read the full thing here. I emphasized in this review essay that from a strategic perspective the most interesting--and perhaps most puzzling--thing about these campaigns is why they happened at all. Unlike most of the battles fought during the Great War of Resistance, Shanghai was a battlefield chosen by the Chinese. The Japanese decision to meet the Chinese challenge in Shanghai was also the product of long debate and careful assessment. Unlike so many other battles fought at this stage in the war, the decision to make Shanghai the centerpiece of Japan's war effort was made in Tokyo, not by impetuous officers in the field. Why did each side decide to commit so much to this battle? I provide a few potential answers in the essay, so you will have to read it for the full account. However, I had to edit out a few arguments for the sake of space and flow. One is Hans van de Ven's contention that Chiang's decision to fight in Shanghai instead of in the north had everything to do with China's internal politics and the trouble Chiang had keeping an unruly pack of warlords together. Ven points out that (with the exception of the Guangxi clique's powerbase in, you guessed it, Guangxi), Chiang had a much firmer hold on China's east and south. The further away you went from the Guomindang's original home in Guangdong and its new headquarters in Nanjing, the less power he had. The warlords closest to the Japanese advance were the flakiest. They were easily intimidated by the Japanese, and highly distrustful of Chiang to boot. One of them, Han Fuju, would indeed end up abandoning his troops and the entire province they garrisoned at the first sight of the Japanese assault. In the upper Yangtze delta Chiang did not have to rely on weaselly characters like Han Fujin to defend or seize critical objectives. Thus by forcing the Japanese to fight in Shanghai Chiang was forcing them to fight in the one place where they could not tear away his auxiliary troops and supply lines through political maneuver. Had Chiang marched his best troops towards Tianjin, on the other hand, this would have been a constant fear. It is hard to tell how plausible this argument is, for there simply are not any books that narrate the Tokyo war-room debates of 1937 with anything approaching the detail that the books covering the debates of 1941 provide. (Of course it is possible there is such a book, and I have just not happened to have heard of it; if so I encourage you to sound off in the comments. But my search has been fruitless thusfar). I am inclined to agree more with Ven than with Paine. If Chiang had no choice but to fight, then Shanghai was where the fight had to be. As I discuss in the main essay, this was necessary to convince coalition partners (e.g., the Guangxi clique and other warlord groups, the USSR, the Communists) to commit to the war, and as argued here, as long as Chiang's best troops were holding the line, it was also necessary to keep the fight in territory which Chiang controlled. Chiang's mistake was not to fight in Shanghai, but for how long he insisted on fighting there. One wonders what might have happened if the mass of troops funneled into Shanghai in September had been sent instead to man the Xicheng Line defense works (modeled on France's more famous Maginot Line) instead. The disastrous retreat from Shanghai might have never happened. Once Japan committed its full industrial might to the war the capture of Nanjing was probably inevitable, but a more controlled and ordered defense of the city and the Xicheng Line might have blunted some of its worst features. T. Greer, "Review: Shanghai 1937 and Nanjing 1937," Strategy Bridge (20 April 2016). Hans van de Ven, War and Nationalism in China, 1925-1945 (New York: Routledge, 2012), 170-209. Sarah Paine, The Wars for Asia: 1911-1949 (Cambridge: Cambridge University Press, 2014), 132. What makes this video worth commenting on is the section near the end of the clip on the Vietnamese workers smuggled into China to work in the factories there. It is a tad old hat to predict that Southeast Asia generally, and Vietnam in particular, will be the “next China,” and there are plenty of wow-graphics out there designed to prove this point. The fact that a flow of Vietnamese workers moving into China for work even exists throws a wrench into this narrative. Vietnam may be the next China, but that ‘next’ is much further away than many Asia hands suggest. The central issue here is productivity. This point is not original to me; the role that total factor productivity plays in the economic growth of developing countries and their integration into the global economy is well-known. But it was not until Daniel Froehling (who operates the History on the Run podcast) impressed this point upon me in a recent off-line conversation that I have started to think seriously about the relationship between TFP and the future trajectory of economic growth in East and Southeast Asia. He observed that China’s main advantage throughout the early 2000's was a favorable ratio between total factor productivity (TFP) and wages. Southeast Asia will not be able to fully replace China's role in global supply chains until they are competitive with China on this count. Worryingly, capital has played a progressively larger role in the Chinese economy. Since 2008, China has made up for the fall in net exports by expanding investment. The government took the lead with a CNY 4 trillion stimulus package that saved the country from the worst of the global financial crisis. In 2009 capital accumulation contributed more than two-thirds of aggregate growth. This is not a problem that can be fixed on the fly. Righting the massive misallocation of capital created during the 2009 stimulus is a long term project. It would drag down productivity growth regardless of changes in the cost of factor inputs or external demand for Chinese goods. However, the cost of inputs are rising and external demand for Chinese goods has slowed. The days of China’s blinding productivity gains are behind us. This should give some hope to the Vietnamese. However, the distance they must bridge to truly compete with China is still an enormous one. The Conference Board's most recent data--for 2014--puts China's labor productivity growth at 7%, with total labor productivity only 19% of workers in the United States. Vietnam's labor productivity is growing at a slower 4.8%, and relative to the United States its labor productivity clocks in at 8%. Wages are low in Vietnam, but so are the returns businesses can expect to receive in return for wages paid. Taking a train in Vietnam from Ho Chi Minh to Hanoi requires covering 1726 kilometers of track in about 34 hours. Meanwhile, it is possible in China to get from Beijing to Urumqi in just over 32 hours while covering 3161 kilometers of track. That’s just about double the distance in the same amount of time. And while Ho Chi Minh and Hanoi are the largest cities in Vietnam, going from Beijing to Urumqi is like going to the middle of nowhere. It would only take about 6 hours to travel the same distance between major cities in China. It will take time for these drags on productivity can be eliminated; Vietnamese will be smuggled into Chinese factories for some time yet. A useful overview of recent research is found in, Aidar Abdychev, La-Bhus Fah Jirasavetakul, Andrew Jonelis, Lamin Leigh, Ashwin Moheeput, Friska Parulian, Ara Stepanyan, Albert Touna Mama, "Increasing Productivity Growth in Middle Income Countries," IMF Working Paper 15/2 (January 2015). Koji Nomura, "Productivity Trends in Asia After the Global Crisis," VoxEU (18 December 2015). Earnst and Young (China) Advisory ltd, China: The Productivity Imperative (2012), 4. Conference Board, "Total Economy Data Base," multimedia application, May 2015. This data is for labor productivity. I have found no detailed estimates of TFP for 2014, but the numbers for 2013 paint a similar picture. See APO Productivity Databook, 72-80. Steve Montengale, "Three Key Factors for Sourcing in Vietnam," Intouch Manufacturing Sourcing: Blog, 26 March 2015. "Vietnam Builds a $1.7 Billion Port, and Now it Lies Waiting for Ships" Thanh Nien News, 17 September 2015. ...Sepúlveda’s team installed malware in routers in the headquarters of the PRD candidate, which let him tap the phones and computers of anyone using the network, including the candidate. He took similar steps against PAN’s Vázquez Mota. When the candidates’ teams prepared policy speeches, Sepúlveda had the details as soon as a speechwriter’s fingers hit the keyboard. Sepúlveda saw the opponents’ upcoming meetings and campaign schedules before their own teams did. Money was no problem. At one point, Sepúlveda spent $50,000 on high-end Russian software that made quick work of tapping Apple, BlackBerry, and Android phones. He also splurged on the very best fake Twitter profiles; they’d been maintained for at least a year, giving them a patina of believability. Sepúlveda managed thousands of such fake profiles and used the accounts to shape discussion around topics such as Peña Nieto’s plan to end drug violence, priming the social media pump with views that real users would mimic. For less nuanced work, he had a larger army of 30,000 Twitter bots, automatic posters that could create trends. One conversation he started stoked fear that the more López Obrador rose in the polls, the lower the peso would sink. Sepúlveda knew the currency issue was a major vulnerability; he’d read it in the candidate’s own internal staff memos. I am not a specialist in Latin American politics, nor can I claim any special expertise in cyber security. I am not the man to evaluate whether or not Sepúlveda's claims are credible or not. I will assume that the folks at Bloomberg have done their due diligence and that this expose is the real deal (I encourage readers who believe otherwise, or have found worthy critiques of the piece, to comment in the comments section below). This news story has blown up in the Latin press but has garnered little commentary from the Anglophone side of the internet. This story is not being taken with the seriousness it deserves. I will be blunt: Andrés Sepúlveda is a challenge that neither our political institutions nor our political philosophy have prepared us to meet. Democratic politics has always been, to one extent or another, a game played by manipulating the passions of the masses, and I suppose one could claim that what Sepúlveda is doing here is no different than what Alcibiades did when speaking before the Athenian assembly. There are key differences, however. Alcibiades and the demagogues who follow in his footsteps today walk by daylight: when they manipulate the masses, be it through soaring oratory or most violent mobbery, they act in the open. All can see what they do, though only the wise will discern why they do it. Sepúlveda and his kind are different. They are creatures of the night, unknown and unaccountable. 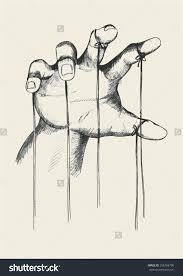 Like puppet masters are they, pulling at strings only those closest to the stage can see. But the metaphor only goes so far: all who watch a puppet show know that no matter how life-like it may seem, behind every puppet is a puppeteer. Not so with those who hack democracy. If their performance is done just right no one in the audience will know if the electoral victories they witness were justly won or were delivered by puppeteers in the shadows. It is this ambiguity that makes Sepúlveda's methods so dangerous. His is a poisoned dart aimed at the heart of liberal democracy. For the governing regimes of the Western world are built on a myth, and it is a myth that goes like this: in democracies, decisions of state are made by the will of the people. That actual policy making in democratic regimes is only tenuously connected to popular will is immaterial. A belief in the 'consent of the governed' preserves the peace. It allows for factions to compete for control of the state without violence. It is a useful myth (and if limited to the selection of candidates, one that has some truth to it), but one that depends of a transparent system of electioneering to sustain it. The democracy of the election hackers is not transparent. They muddy the system. The more infamous cases like this become, the muddier the system gets. It is important to understand that no team needs to consistently succeed in hacking their preferred candidates into victory for this to be true--all that is needed for democracy to lose its luster is a belief that a given electoral system could be hacked. John Robb describes the disruptive potential of these developments in a post written a week before the Bloomberg story broke. It's title is laconic: "How the US Ends Up in a Real Civil War This Fall." It's November 8th and the choice is between Trump and Hillary. Both candidates have negatives approaching 70% (Hillary is currently at 56% and Trump is at 60%). The campaign has been vicious. Like a rematch of Hitler vs. Stalin in US politics. For months, there has been violent protest in every US state. Protesters vs police vs. each other. Voters are edgy when they head to the booths on November 8th. Everyone is ready to put this campaign behind them. However, things are about to change for the worse. A dozen faux bombs in suspicious packages are placed at heavily (Rep or Dem) polling locations resulting in evacuation and widespread concern. Robocalls pour in to police departments and polling places in heavily (Rep or Dem) polling locations with bomb/terrorist threats. Widespread poll closures occur. Calls continue until late. Election results are skewed. Electoral college swings to the candidate helped by the threats. One candidate declares victory. The other cries foul. Protests go national. Violence, looting and active engagement with police soon follow. Calls for calm ignored. Martial law is declared in different areas. The Internet is turned off in problematic areas. Robb suggests that this could be pulled of by five people. A team with the resources Sepúlveda had could do far more. Sepúlveda hacked elections because he wanted his side to win. Foreign teams with an interest in American elections could very well do the same. That should be enough to give you pause: just what does American democracy look like when foreign syndicates and intelligence agencies can manipulate social media and internet platforms to boost the candidates they prefer? An even more important question: what does American democracy look like when Americans believe foreign syndicates and intelligence agencies are manipulating them to boost the candidates they prefer? What happens when the losing side of any electoral contest believes they lost because someone on the other side hacked the election to their advantage? Jordan Robertson, Michael Riley, and Andrew Willis, "How to Hack an Election," Bloomberg Newsweek, 30 March, 2016 (print edition, 4 April, 2016). John Robb, "How the US Ends Up With a Real Civil War," Global Guerillas, 20 March 2016.